Supersport bikes used to be the superbike alternative for those who liked going fast but wanted value for money and a bit of practicality. The arrival of Honda’s CBR600RR signified a seismic shift as track focus overtook practicality and brought about the beginning of the end for the class. But there are some old-school gems out there. Here is MCN’s pick of the bunch that can be found for less than £3500. 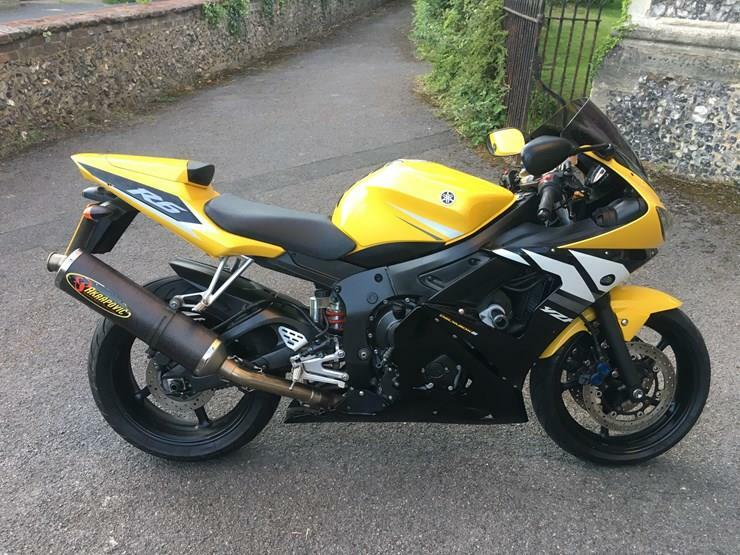 The Yamaha R6 used to be viewed as the nutter of the supersport class, but when it gained fuel-injection in 2003 this changed. While it still has a sporty chassis (Yamaha claimed the new Deltabox had the same rigidity as the YZF-R7 homologation special) the addition of fuel injection and the reworked motor gave it a welcome boost of midrange to add to its traditional top-end rush. It’s not the most practical of supersport bikes, but for solo riding it’s a lovely road bike with stacks of potential should you wish to enjoy the odd trackday. Build quality is high but the gearbox is a weak point with first and second gear suspect. Accelerate hard to see if it hops out of gear or refuses to engage, the gearbox is clunky as standard, but positive in its shifting. Check the front tyre, it should be a 120/60 (some tyre firms specify the 120/70 for the earlier bike, the 2005 model has this size as standard), as the wrong profile tyre can lead to it rubbing on the mudguard. The 2005 model adds inverted forks and radial brakes as well as bigger throttle bodies, improving the mid- range. There was a R46 Rossi Rep but the paintscheme didn’t prove popular. It’s amazing the effect a restyle can have, as underneath the Triumph Daytona’s cool bodywork is essentially a reworked TT600 with Keihin replacing the TT’s terrible Sagem fuel injection. But it worked and the Daytona 600 struck a chord. The Daytona’s gearbox is pretty clunky, not helped by a poorly designed shift linkage. Swap the standard arrangement for aftermarket rearsets and the action is far more precise. The clutch fail-safe switch can work loose in its mounting, causing the bike to refuse to start, and suspension linkages are prone to seizing. If a bike has been left standing the engine management light can become stuck on. Running it through three heat cycles (leave it ticking over until the fan kicks in, allow it to cool and repeat) usually cures this. 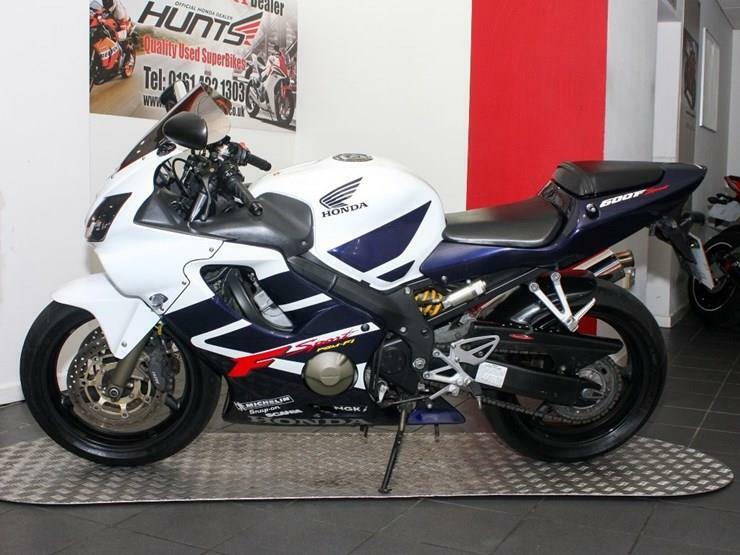 Launched in 2001, the Sport is a tweaked Honda CBR600F that allowed Honda to win the World Supersport championship. Featuring a split rider and pillion seat for a sportier look, dual valve springs, a lightened crank, different cams and no centrestand, the Sport retains all of the F’s practicality, but in a bike that is far more visually appealing. As with all early CBRs, the cam chain tensioner is a weak point so listen out for a rattle on start-up. It’s not a huge issue as a replacement costs £98.65 and takes a mechanic about an hour to fix. Older bikes suffer reg/rec issues, but again this isn’t an expensive fix. Just be wary of machines with any accessory electrical items that put extra strain on the system. In general, it’s wear and tear items (bearings, tyres, etc) that you need to check over as the bike’s mechanics are very solid. 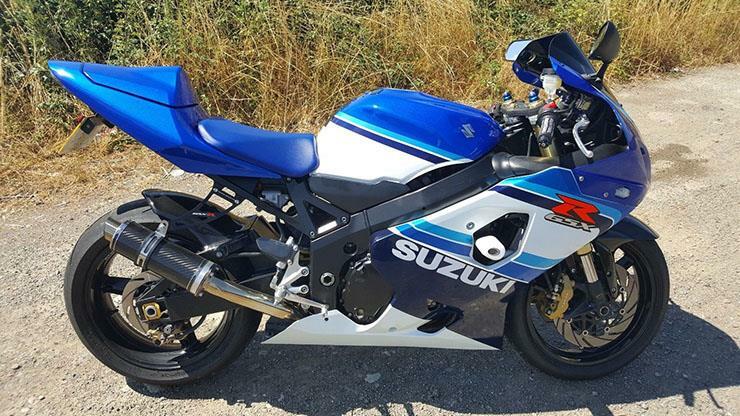 Suzuki’s sportsbikes tend not to hold their residual values as well as their rivals, so you can often get a newer GSX-R for the same price as an older rival’s bike. With this in mind, the Suzuki GSX-R600 K5 is a great buy. Updated in 2004, this generation of GSX-R strikes a wonderful balance between power, comfort and agility and comes with modern components such as inverted forks, fuel injection and radial brakes. They don’t tolerate neglect. Once corrosion has set in you are fighting a losing battle. Check the dash for any warning codes or lights that hint at either the Throttle Position Sensor (TPS) or stepper motor failing. Warped discs are common, so feel for a pulsing sensation through the lever when you apply light pressure. 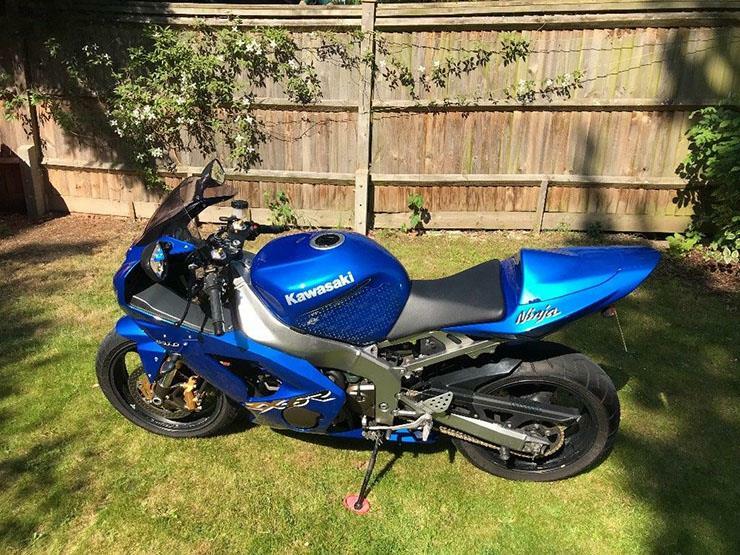 The 2003 Kawasaki ZX-6R, or B1H as it is also known, was a hugely significant bike for Kawasaki. A new look, the first mass produced bike to have radial brakes as standard, the Ninja had it all. Even a 636cc motor. The fact the ZX-6R has a bit of extra capacity makes it a really appealing road bike. Like the R6, the ZX-6R is more track-focused than its rivals, but it is the most thrilling of this generation of supersport bikes to ride. The ZX-6R runs an odd sized front tyre (a 120/65), so be wary of what rubber is fitted. Finish is weak with the brake calipers often shedding their paint and also sticking pistons, so check for any signs of warped discs. Unlike later models, the B1H needs its valve clearances checked at 15,000 miles and not 24,000. 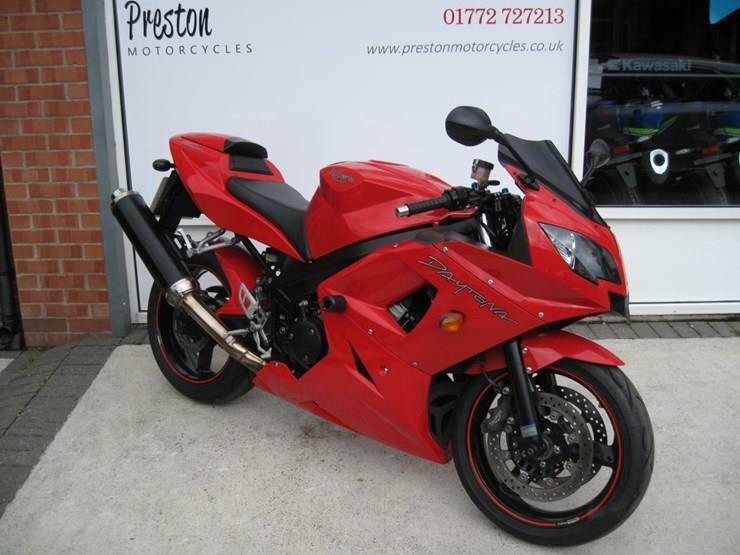 Find these models and other 600 supersports at MCN Bikes for Sale.